When Brian Moleshead first started working at McBrides in January 1983, BBC Breakfast was just launching, seatbelts became mandatory for drivers and front seat passengers, the pound coin went into circulation and CDs went on sale. Brian joined what was then a two-partner firm, led by John McBride and John Eldridge. His initial responsibilities at McBrides included implementing systems and compliance procedures, as well as providing accounting and business advice to the firm’s expanding client base. He successfully completed two tests – the long outstanding liquidation of three companies and assisting a technology client to raise £2m (now £4.7m) of City finance – to become partner in early 1984. However, life could have worked out very differently. A keen sportsman, Brian played a good standard of football and had trials for the youth team of Glasgow Rangers FC. But rugby was the only sporting choice at Brian’s senior grammar school, so football became a hobby rather than a focus. Brian also played county standard tennis at junior level and was a single figure handicap golfer. accountancy apprenticeship role with a firm that paid him £200 a year and which went on to become part of Grant Thornton. He never looked back. After a five-year training contract, he qualified and moved to Grant Thornton’s London office in 1975 leaving there as a senior audit manager. He then moved to a West End firm for a stint before arriving at McBrides. 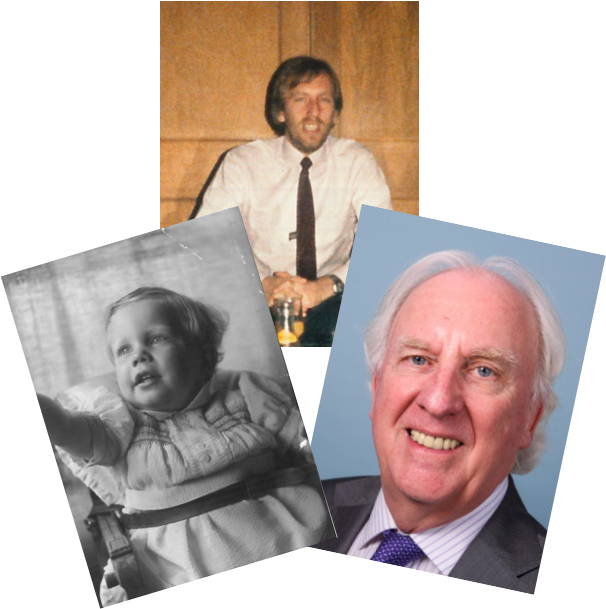 Brian has also worked with two of McBrides’ long-standing clients: Vernon Crisp, one of McBrides’ very first clients; and Andrew Wood, who came to upgrade the firm’s telephone service and left as a client. Brian is most proud of having enabled McBrides to comply with increasing rules and regulations and keeping ahead of trends to operate as an extremely professional local firm. He’s taken great pride in a comment made during a recent visit by our regulatory body that McBrides was one of the best firms ever visited. In retirement, Brian plans to better settle into his relatively new village community, enjoying long coastal walks with his wife Carol and recently acquired cockapoo puppy Seve, spending more time with his 18-month old grandson, and reducing his golf handicap (currently +11) while playing more tennis. Brian, it’s been a blast and we wish you well!